We’ve been gone what feels like 2 weeks with just a couple days at home; first camping and then an ocean trip. I am ready to get our routine back in order for a bit! 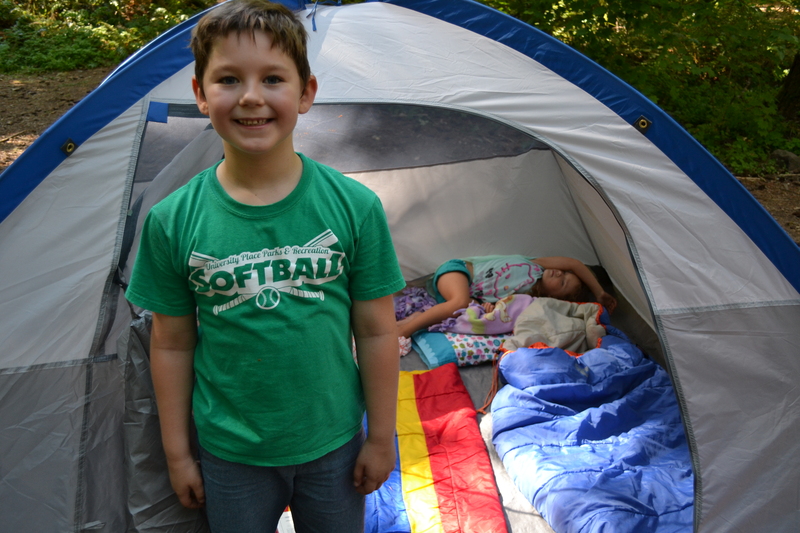 Our camping trip to Millersylvania State Park went wonderful, we had a blast! This was Mason’s first camping trip and he loved it. We had the group site with 15 of us. 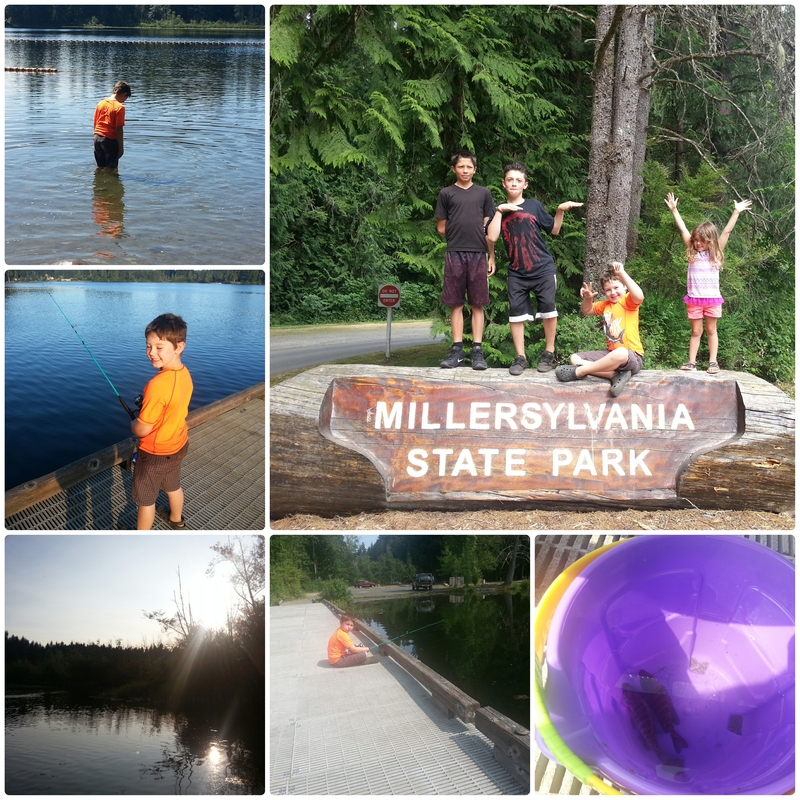 Millersylvania State Park has two great swim areas that was very clean(no swimmers itch), fishing spot with a dock, concession stand with boat rentals, plenty of nature, the sites are spread out with shade, a good size gas station store for ice and other items nearby. Sadly we weren’t able to have a campfire because of a state wide burn bad. And be careful going to the bathroom at night, we heard a cougar more than a couple times but that’s at any campground. If you venture outside of the state park AVOID the Deep Lake RV Resort like the plague, AWFUL man there on a bicycle. Don’t even walk on the same side of the road as the resort. 1. Bring plenty of snacks and water and when planning meals remember simple easy quick is best(think pre-made)! 2. Bring toys but don’t over pack, they don’t need anymore than 3 toys, if that even. 3. Don’t forget those flashlights/lanterns for those nights walking to the bathroom and blankets/sweatshirts, no matter how hot you think the day is the temp drops when the sun goes down and you are covered with trees. And you don’t want a whinny kid especially when there is no fire to keep them warm. 4. Don’t over do it, camping with children can be exhausting not just for them but for you. Most wake up with the sun rising and stay up late. Unless you’re a seasoned camper, only plan for a couple nights. Take a nap. 5. Don’t forget the sunblock, bug spray, any meds, first aid(you will always need at least 1 band-aid). My BIG list of Disneyland Tips! !